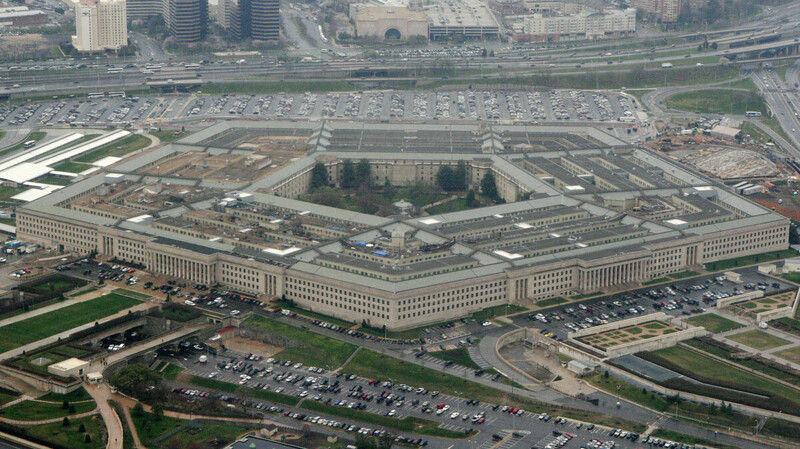 Is Cutting The Pentagon's Budget A Gift To Our Enemies? Some argue that there's plenty of room in the military's budget for cutbacks, but others say that could lead to more threats. A group of experts go head to head on the issue for an Intelligence Squared U.S. debate. Amid the across-the-board budget cuts known as sequestration and a general belt-tightening mood among many on Capitol Hill, the Pentagon is being asked to reduce its spending after a decade of increases. Some argue that even with cutbacks, the U.S. spends far more than other countries on defense, and that the drones and special operations forces increasingly being used in the counterterrorism fight cost less than conventional military operations. But others say that the U.S. still faces plenty of dangers — including threats from China and the Middle East — and that a weaker military would only encourage more. Also, they say, maintaining an effective all-volunteer military requires ever-increasing personnel costs, meaning less money is left for training and equipment. A group of experts recently faced off, two against two, over military spending in a debate for the Intelligence Squared U.S. series, in partnership with the McCain Institute for International Leadership at Arizona State University. The motion for the Oxford-style debate was, "Cutting the Pentagon's budget is a gift to our enemies." Before the debate, the audience voted 22 percent in favor of the motion and 57 percent against, with 21 percent undecided. After the debate, 29 percent agreed that "cutting the Pentagon's budget is a gift to our enemies," while 65 percent disagreed — making the side arguing against the motion the winners. Thomas Donnelly, a defense and security policy analyst, is the co-director of the Marilyn Ware Center for Security Studies at the American Enterprise Institute. He is the co-author with Frederick W. Kagan of Lessons for a Long War: How America Can Win on New Battlefields (2010). Among his recent books are Ground Truth: The Future of U.S. Land Power (2008) and Of Men and Materiel: The Crisis in Military Resources (2007). From 1995 to 1999, he was policy group director and a professional staff member for the House Committee on Armed Services. Donnelly also served as a member of the U.S.-China Economic and Security Review Commission. He is a former editor of Armed Forces Journal, Army Times and Defense News. Andrew F. Krepinevich Jr. is president of the Center for Strategic and Budgetary Assessments. He assumed this position in 1993, following a 21-year career in the U.S. Army. Krepinevich has served in the Department of Defense's Office of Net Assessment and on the personal staff of three secretaries of defense. He currently serves on the Chief of Naval Operations' Advisory Board and on the Army Special Operations Command's Advisory Board. Krepinevich has served as a consultant on military affairs for many senior government officials, including several secretaries of defense, the CIA's National Intelligence Council and all four military services. Krepinevich's most recent book is 7 Deadly Scenarios: A Military Futurist Explores War in the 21st Century. Krepinevich received the 1987 Furniss Award for his book The Army and Vietnam. Benjamin H. Friedman is a research fellow in defense and homeland security studies at the Cato Institute. His areas of expertise include counterterrorism, homeland security and defense politics. He is the author of dozens of op-eds and journal articles and co-editor of two books, including Terrorizing Ourselves: Why U.S. Counterterrorism Policy Is Failing and How to Fix It, published in 2010. He is a graduate of Dartmouth College and a doctoral candidate in political science and an affiliate of the Security Studies Program at the Massachusetts Institute of Technology. Kori Schake is a fellow at the Hoover Institution, where she is writing a book about the American experience as a rising power from 1840-1921. She has worked for the Pentagon's Joint Staff, the Office of the Secretary of Defense, the National Security Council and the State Department's Office of Policy Planning. During the 2008 presidential election, she was a senior policy adviser to the McCain-Palin campaign. She previously held the distinguished chair in international security studies at the U.S. Military Academy and taught at the Johns Hopkins School of Advanced International Studies and the University of Maryland School of Public Affairs. She blogs for Shadow Government at Foreign Policy. Her most recent book is State of Disrepair: Fixing the Culture and Practices of the State Department (2012).